DUI/DWI – Staiti & DiBlasio, LLP. A conviction for a Maryland DWI will have long lasting consequences. A criminal record can affect your employment, your future and your personal freedom. Comprehending the Maryland DWI laws and courtroom proceedings can be intimidating and challenging. Hiring a qualified attorney, like those at Staiti & DiBlasio can make a difference in the outcome of your case. Contact Staiti & DiBlasio today to schedule your free initial consultation. Our experienced lawyers can help you in this time of need. Please call 410-787-1123 today. Driving Under the Influence (DUI) and Driving While Intoxicated (DWI) are serious criminal charges with serious consequences. 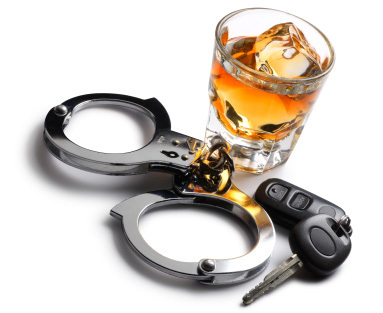 With a conviction for DUI or DWI, you may face extensive fees and fines, find yourself with exorbitant insurance rates, lose your license, and even spend time in jail. If you, or someone you know, has been arrested for DWI or DUI – you need to know that you have rights and that you should not delay in getting legal representation. Regardless of the circumstances, do notassume all is lost. Staiti & DiBlasio will investigate your case to find all possible defenses. If you have been arrested in the state of Maryland for suspicion of a DWI or DUI there will be two different cases brought against you. One is the criminal case brought by the state, and the other is by the Maryland Department of Motor Vehicles to revoke your license. If you have been charged with DWI or DUI, the state of Maryland must prove you are guilty beyond a reasonable doubt. The difference between a DWI and a DUI is one of degree. In Maryland, if your Blood Alcohol Concentration (BAC) is .08 or above, you are considered legally drunk and can be charged with a DWI. If your BAC is between .04 and .07, you can be charged with a DUI. In Maryland, a DUI is a lesser infraction, but it is still a serious offense. There are four distinct aspects to your case, Driving Pattern, Physical Appearance, Field Sobriety Testing, and Breath or Blood Testing, each is further discussed below. The prosecution’s case is like a table with legs– remove one or more legs and the table will fall. Likewise, if there is reasonable doubt regarding any aspect of the case, you could be acquitted. The driving pattern that police officers typically report can be incomplete, subjective, and often one-sided. The police officer’s report is often their justification for the stop and a trained DWI or DUI defense lawyer will point out the many things their client did right. By pointing out the ways in which a driving pattern is consistent with sobriety, a DUI lawyer can rebut this aspect of the prosecution’s case. Again, a police officer’s report of your physical symptoms can be incomplete, subjective, and often one-sided. Police often look for red, watery eyes as a symptom of impairment, but may not bother to ask if someone is fatigued, has allergies, has been around cigarette smoke, or if there is any other reason for red eyes. Police often look for other traits and/or odors that may have benign origins, despite seeming indefensible at first. Again, your lawyer can be very instrumental in focusing the court on the relevant issues. Field Sobriety Tests are optional and highly subjective. You are perfectly free to politely refuse to take the Field Sobriety Tests. Click here for a description of some of the major Field Sobriety Tests. Once you are under arrest, the officer must offer you the opportunity to submit a breath test or a blood test to determine your Blood Alcohol Content (BAC). Refusal to take the breath test will result in a license suspension for at least 45 days. If you opt to take a breath test administered by police, the prosecutor will try to use your BAC to prove your guilt. Even with today’s technology, breath-testing devices are subject to mistakes because they make certain assumptions about the people being tested that may or may not be true. Your attorney will obtain calibration records, maintenance history, and accuracy checks of the machine that was used to administer the test. Click here for a description of the legal significance of Breath of Blood Tests. The Motor Vehicle Administration (MVA) Hearing is where you can lose your driver’s license. These hearings are independent of court proceedings for which you may also have your license suspended. A lawyer can be very helpful in developing defenses to these suspensions and/or assisting you to obtain work or education related privileges. Unfavorable decisions may be appealed within thirty (30) days of an administrative decision to the circuit court of the county where the driver resides. If you have been arrested for drunk driving in Maryland you need to request a hearing with the Office of Administrative Hearings within ten (10) days of arrest. If your breath or blood test result was .08 or more, or you refused the test, then the arresting officer probably took your driver’s license and issued a 45 day temporary driver’s license. If your breath or blood test result was .15 or higher, or this was your second offense within five (5) years, you will want to consult with an attorney as to whether you are better off requesting a hearing or installing an Interlock device and waiving your right to a hearing. The temporary license is actually a white piece of paper that should be attached to an almost identical piece of white paper. The second page is the hearing request. We recommend that if you mail your hearing request via certified mail (don’t forget to include the check for $125 payable to the Maryland State Treasurer). If your request for a hearing was timely filed, you should receive an extension of your temporary license that is good until the hearing.